For over 25 years, Tuff Kote Systems has provided Orange County and the greater Los Angeles area with comprehensive deck coating and waterproofing services. We offer Westminster premium quality coating systems for decks, balconies, stairways, and elevated walkways. We decoratively coat and waterproof interior floors, garage floors, and hardscape surfaces such as patios, pool decks, driveways, fountains, planter boxes, and walkways. We can install roof waterproofing and Title 24 compliant roof coatings. And in conjunction with our general contracting division, General Contracting Group, we provide above and below grade waterproofing and deck maintenance, repair, and restoration services. Contact the deck coating and waterproofing specialists at Tuff Kote Systems, and discover why we are the leading deck coating and waterproofing contractor in Orange County and the greater Los Angeles region. We provide estimates to Westminster and throughout our service area, and accept Visa, Mastercard, American Express, and checks. Tuff Kote Systems is licensed, bonded, and insured. Call us today. 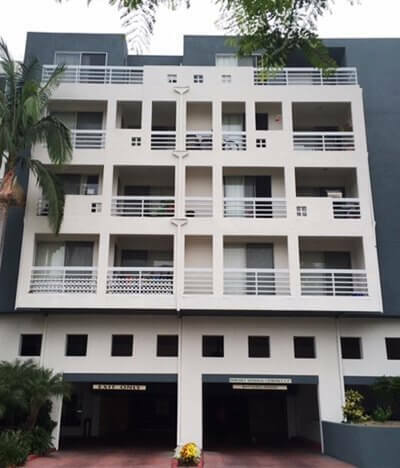 Since 1986, Tuff Kote Systems has provided exceptional quality deck coating services at competitive prices to Orange County and the greater Los Angeles region. Our premium quality deck coating systems are ideal for protecting the surfaces of decks, stairways, elevated walkways, balconies, pool decks, patios, driveways, and other surfaces, and are available in an extensive selection of colors, patterns, and textures, including faux stone and faux tile overlays. They can be applied over worn or weathered exterior surfaces, and also surfaces which have been previously coated. We stand behind our deck coating systems with excellent warranties, and offer estimates to Westminster and throughout our service area. Both groundwater and surface water can cause moisture problems and structural damage in Westminster homes and commercial structures. Rely upon the experienced waterproofing experts at Tuff Kote Systems to resolve these issues in the most cost effective way possible. At Tuff Kote Systems, we have worked in the waterproofing industry for over 25 years, and possess the knowledge and expertise required to pinpoint and remediate both above and below grade moisture issues. Seepage and vapor transmission through below grade supporting structural components such as foundation and retaining walls, foundation slabs, and footings can cause major structural damage. And this unwanted moisture can lead to concrete spalling, reinforcing steel corrosion, and the settlement of the structure – resulting in the development of cracks in the building envelope. Don't wait for groundwater and surface water to cause damage to your Westminster home or business property, call us today for an estimate. Tuff Kote Systems is licensed, bonded, and insured, and performs all below grade waterproofing services in conjunction with our general contracting division, General Contracting Group. Decorative concrete finishes are an ideal way to transform damaged or worn concrete into stunning works of art. Concrete finishes are available in an extensive array of colors, patterns, and textures, and can be applied to both interior and exterior surfaces such as interior and exterior floors, patios, pool decks, driveways, and walkways. Decorative concrete finishes are much more affordable than concrete removal and replacement, and can also be applied over previously finished concrete surfaces. They can be utilized for both residential and commercial applications in Westminster, and provide a problem-free, low maintenance surface which is stain, mold, and mildew resistant. Our durable concrete finishes are formulated to be stronger than concrete, and as such, will add structural integrity to the concrete floors and hardscape surfaces to which they are applied. Concrete staining is an affordable way to beautify concrete surfaces such as patios, walkways, driveways, interior floors, and pool decks. It can be utilized for both residential and commercial applications, and for both new and older concrete surfaces, whether interior or exterior. It is available in a wide selection of color choices and color combinations, and in a limitless array of design possibilities. And at Tuff Kote Systems, we use only premium quality stains, and provide our concrete staining services to Westminster at very affordable prices. The California Title 24 Energy Efficiency Standards require roofing systems built over certain types of commercial and industrial spaces to meet specific solar reflectance and thermal emittance standards. And at Tuff Kote Systems, our Title 24 compliant roof coatings help Westminster business and industrial facility owners to comply with this requirement. Solar reflectance (SR) is a measure of a roofing system's ability to reflect the sun's rays, so that the sun's heat will not be absorbed by the roof during hot weather. And thermal emittance (TE) is a measure of a roofing system's ability to emit, or give off, the heat that it does not reflect, but does absorb from the sun. Working together, these two attributes help roofing systems to remain cool in warm, sunny weather, producing what is referred to in Title 24 terminology as a "cool roof" roofing system. Cool roofs help promote lower energy consumption, because they reduce the need for air conditioning during the warm summer months. And as a direct result of this reduced air conditioning usage, they save commercial and industrial property owners significantly on their seasonal cooling bills. Perform roof and ceiling repairs under roof top decks which have suffered water damage; replace damaged drywall and insulation. At Tuff Kote Systems, our deck repair, restoration, and maintenance services are certain to leave your Westminster deck looking and functioning like new, for a very competitive price. Contact us today for onsite estimate. Trust your Westminster deck coating or waterproofing project to the experienced professionals at Tuff Kote Systems. We offer the best value in Orange County and the greater Los Angeles region, and stand behind all of our work with excellent warranties. We are committed to observing honest business practices, and provide upfront estimates throughout our service area. Contact us today. We accept Visa, Mastercard, American Express, and checks, and our office hours are Monday through Friday, from 8:00 a.m. to 4:00 p.m. Call us today. Tuff Kote Systems is licensed, bonded, and insured.